One of the best things about switching to vaping from smoking is the huge amount of e-liquid flavors that you can choose from. It’s likely that your e-cigarette or vaporizer kit already came with a number of e-juices included, however, many new vapers like to get out there and see what else is available when it comes to different tastes and flavors. But with so many different flavors, flavor combinations and other factors to consider when it comes to selecting the perfect e-liquid for you, it can quickly become a rather tricky decision to make. Many people don’t want to risk purchasing an e-liquid that they are unfamiliar with, as they don’t want to spend money on something that might not be used. 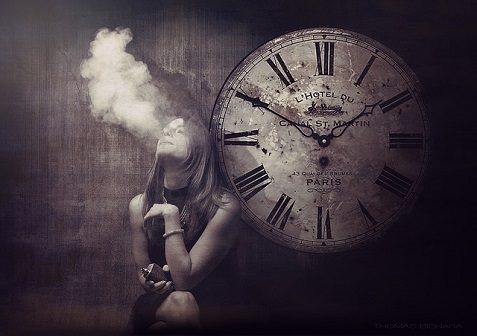 However, when it comes to picking out your first e-liquid, chances are that you won’t have tried many of them before. So, we’ve put together some top tips to help you select an e-liquid that you’ll love vaping with. If the option is available, trying an e-liquid before you buy it is definitely the best idea. If you’re purchasing online, then this may be a little tricky, but most high street vape shops will offer samples for customers to taste before deciding which one to go for. Many new vapers will buy their first e-liquids from a high street store so that they can get a better idea of the flavors that suit them best; after this, you can simply find the ejuice that you like online to get a better deal. When it comes to choosing an ejuice, it’s a good idea to narrow your search down by sticking to flavors that you know you already like. For example, if you usually hate anything with blueberries in it, then you’re probably not going to enjoy a blueberry-flavored e-liquid, either! Thankfully, since everybody’s tastes and preferences are so diverse, ejuice manufacturers offer a broad range of flavors that cater to everyone. If you have just taken up vaping in a bid to quit cigarettes, then it may take you a while to fully get used to vaping with various flavors rather than the taste of traditional tobacco. But here’s the good news: E-liquids come in a variety of tobacco flavors, so you can still feel like you’re smoking a cigarette without all the nasty added chemicals such as carbon monoxide and tar. When it comes to choosing an e-liquid for your vape, it’s not just the flavor that you will need to think about – the brand that you choose can also have a huge impact on how much you enjoy your vape. Remember that not all e-liquids are created equally, and just like in most industries, you really do get what you pay for when it comes to purchasing vaping accessories. Bear in mind that cheap e-juice is much less likely to provide the highly satisfying experience that you want from your vape. When choosing an e-juice for your new vape kit, the best place to look for information is online. Today, there’s a huge community of vapers online, and you can find blogs, YouTube channels, reviews and more, all providing in-depth information, detailed experiences and advice to help new vapers make the most of their kit. Before you decide whether to purchase any particular e-liquid, a quick Google search for it is a great idea; this will likely bring up information that can help you make a more informed choice. Tip #6. How Much Nicotine? Another main factor that you’ll need to take into consideration when you buy an e-liquid is how much nicotine you will need. For those who have just switched over from cigarettes to vaping as a method of helping to quit, it’s likely that a high level of nicotine will be needed. Once you have gotten used to vaping with your higher concentration of nicotine in your e-juice, you can gradually start to reduce it until you are vaping with little to no nicotine at all. You may be tempted to start off vaping with only a small amount of nicotine, but bear in mind that if your body is used to a lot more, then you might find it harder to quit. For many new vapers, the quality of the throat hit that they will get when inhaling is an important factor to consider when choosing a new e-juice. If you have just quit cigarettes and are using vaping as an alternative, then this is probably also an important factor for you too, since you’ll want the experience to be as similar to smoking as possible so that it’s easier for you to make the switch. In general, for a better throat hit, you should choose an e-liquid made with a higher concentration of propylene glycol rather than vegetable glycerin. An 80/20 mix of the two is usually the best type of e-liquids for a good throat hit. On the other hand, if you’re not really bothered about getting a good throat hit but would like to create big, billowing vapor clouds, then you should opt for an e-liquid with a higher concentration of vegetable glycerin, which results in greater amounts of vapor. However, bear in mind that liquids made with mainly, or 100%, vegetable glycerin are often thicker and therefore more prone to burning in certain types of e-cigarettes and vapes. If you are using the standard ‘pen’ starter kit, for example, then a pure VG e-juice may not be the best idea, as it’s unlikely to work in the type of tank that these kits use. Another great way to find a flavor of e-liquid that works perfectly for you is to simply mix different flavors together. As long as you try to stick to e-liquids from the same brand, or at least liquids made with the same percentages of PG and VG, then you should have no issues with mixing different tastes together to come up with something unique. For example, if you are used to smoking menthol cigarettes and have recently made the switch to vaping in order to help you quit, then you could get great results from mixing together both menthol and tobacco flavored e-juices to get a taste that’s exactly like the one you’re used to. From as soon as possible when you begin vaping, it’s a good idea to find several flavors that you enjoy so that you can switch between them. This will enable you to enjoy your vape more. Vapers who stick to the same flavor of e-juice for a long time can often end up with a condition known as ‘vaper’s tongue,’ where you become so accustomed to your e-liquid flavor that it becomes difficult to properly taste it over time. Each time you need to replenish your e-juice, it’s a good idea to try out a new flavor or brand to avoid this from happening! Some vape stores offer better value for money, and you may even be able to bag a discount if you buy your e-liquid in bulk. Once you’ve found a few flavors that you’re sure you like, stocking up on them can be a smart move. Not only will this mean that you can make savings by bulk-buying, but you’ll also have the peace of mind that your supply will last a while, which can be essential for many vapers, especially those who are vaping in order to quit cigarettes. If you plan to gradually reduce your nicotine amount over time, then you might want to bulk-buy e-juice in varying nicotine strengths to help you get started with this. Last, but certainly not least, when purchasing a new e-liquid or buying e-liquids for the first time, safety should be one of your main concerns. As e-cigarettes and vaping have significantly increased in popularity, different brands of e-juice have begun to pop up everywhere, giving us plenty of choice when it comes to flavors, ingredients and quality. But be careful, because while most good e-juice brands are heavily regulated in order to ensure that they are safe, some are not. Before you purchase any e-liquid, it’s a good idea to do as much research as possible to find out some key facts about it, such as where it was manufactured and whether it is approved by the FDA and other relevant regulating bodies. Additionally, any e-liquid that you buy should also ideally be child-proof so that it’s difficult for little ones to accidentally open them. Bear in mind that all vapes and vape accessories should be stored in a safe place out of the reach of children or pets. Did these tips help? We’d love to hear from you in the comments.